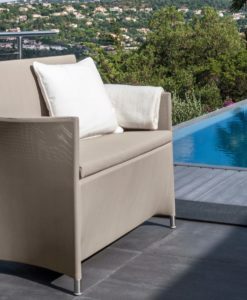 This reclinable sofa is ideal for hotel lounging, the 2 seater and single seat allows you to enjoy reading a book or recline the seat to have a nap. 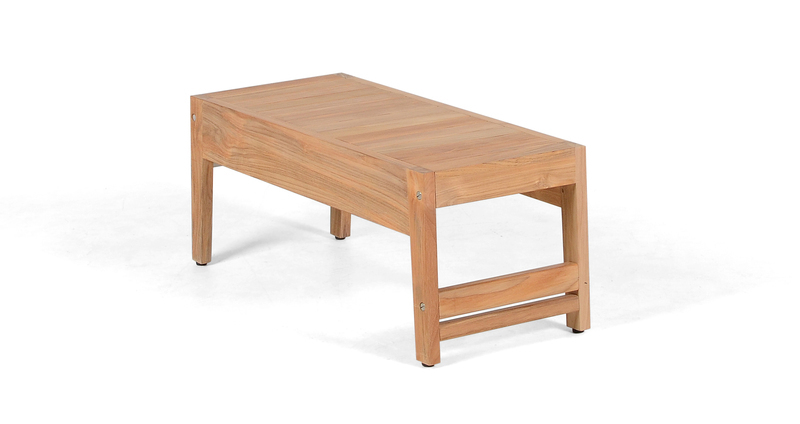 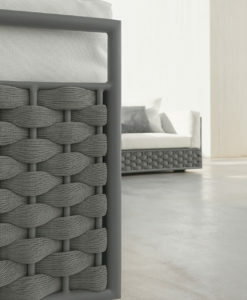 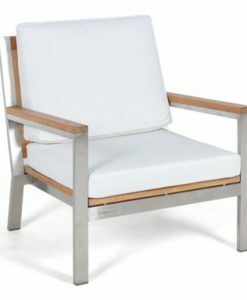 Perfect for Hospitality or Residential use. 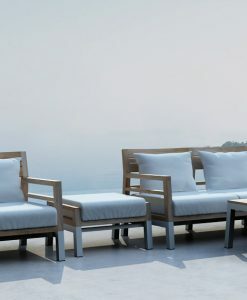 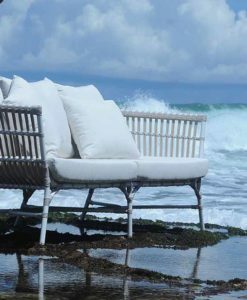 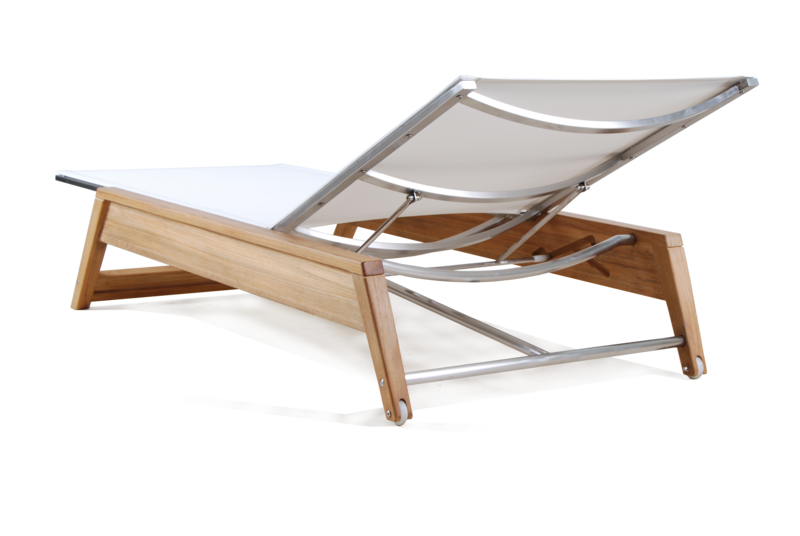 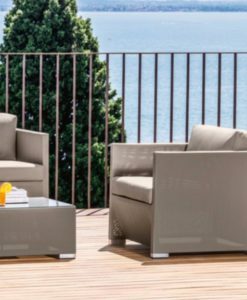 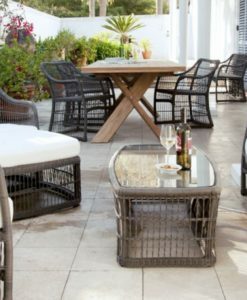 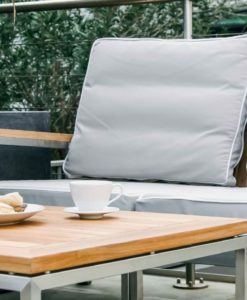 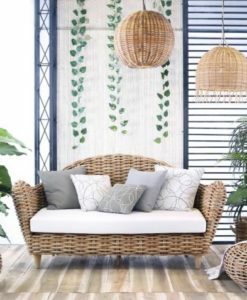 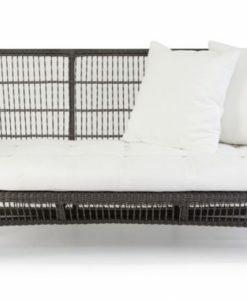 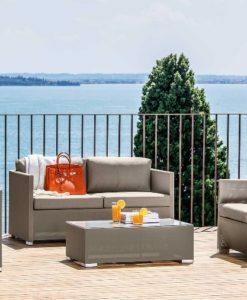 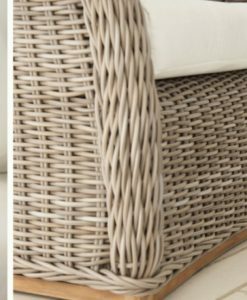 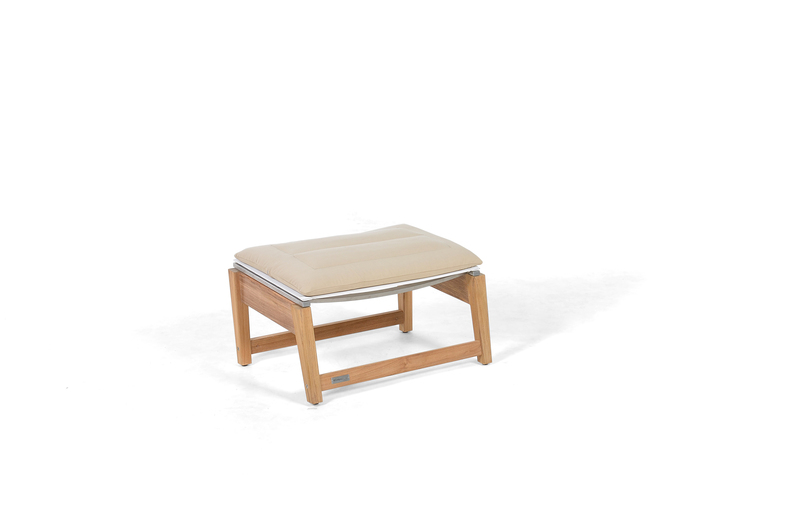 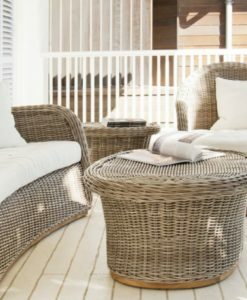 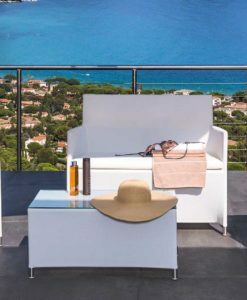 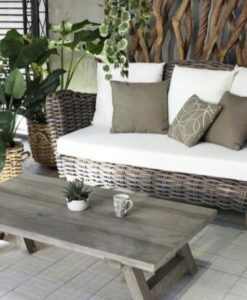 Is great for NYC balconies, made of A-grade teak and stainless steel frame the seat is made of white batyline cushions shown on the image is added to create the ultimate comfort. 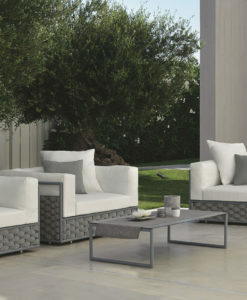 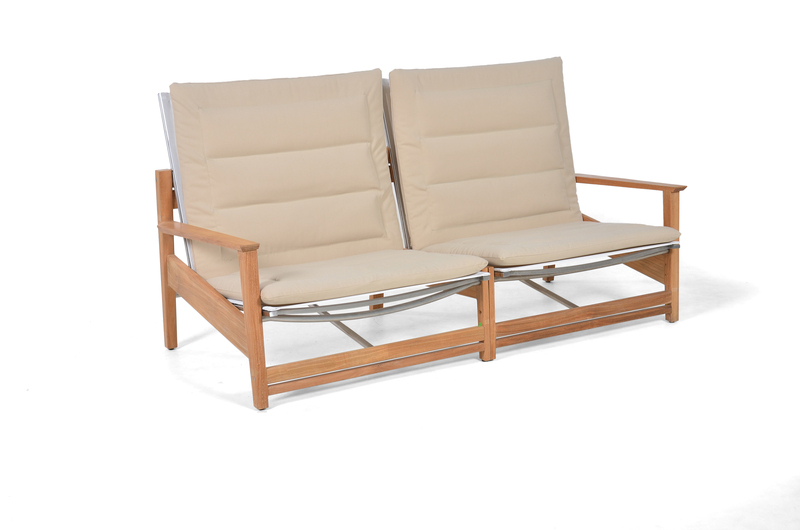 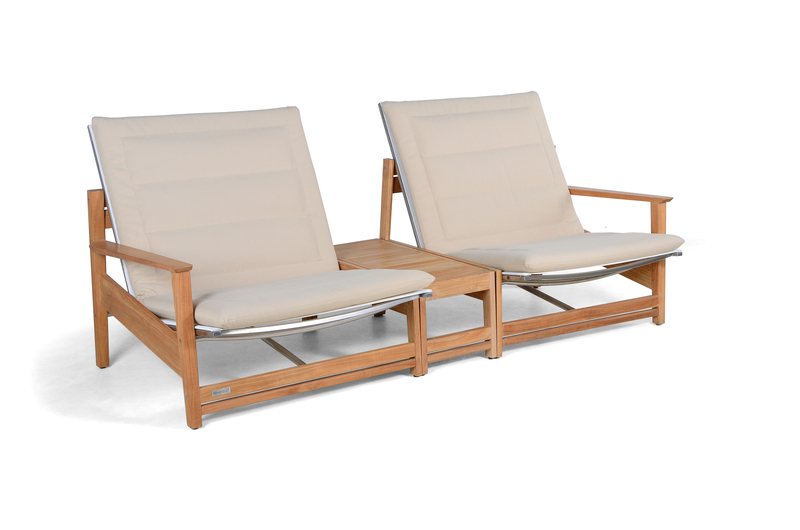 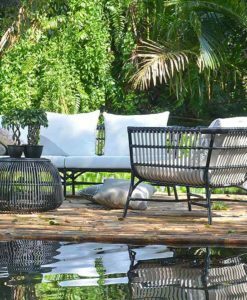 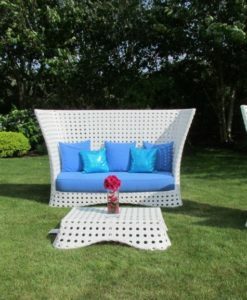 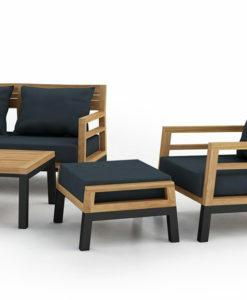 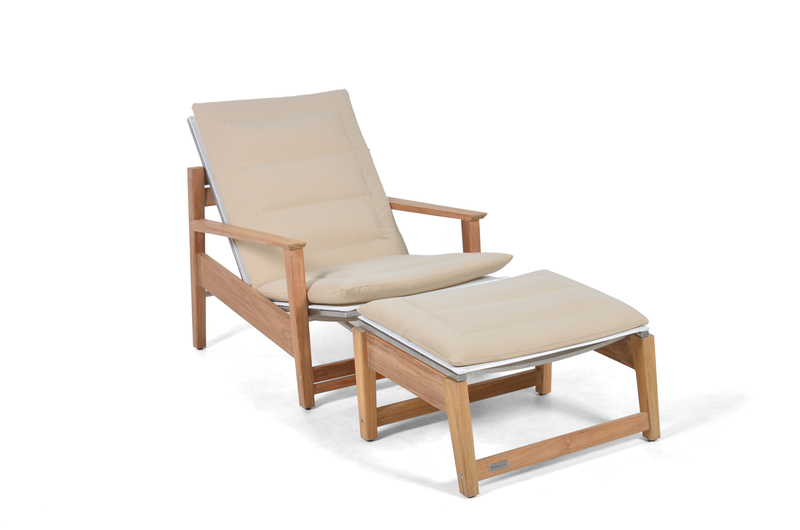 Club chair and chaise lounger are available to complement you outdoor oasis.